Stefano is the type of person who loves when a song gets stuck in his head. This passion for music has taken him on a journey of almost three decades of drumming, teaching, recording, and touring internationally. Feeling right at home playing in a variety of musical settings, he has a complimentary yet creative style to his drumming. 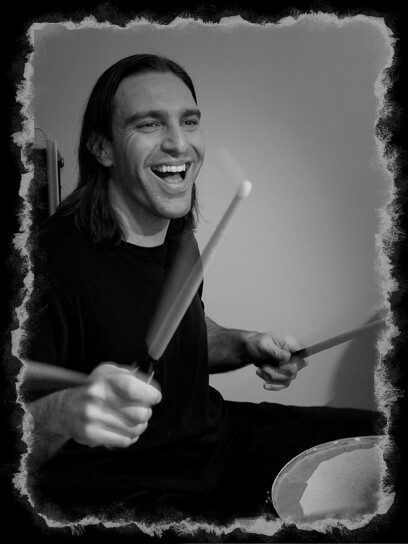 He has studied with world-class drummers such as Zoro (Lenny Kravitz, New Edition) and Mark Schulman (Pink, Foreigner). He has also studied songwriting and audio engineering. Originally from Naples, Italy, he is now working professionally in Los Angeles. Some of the bands Stefano has worked with include Brad Wilson of Stone, Rakit, Alan Ritchson, and Grammy nominee Derek Jordan. He also took home the “Electronica Drummer of The Year” award at the L.A. Music Awards. “Stefano is great to work with. His attitude is always positive and upbeat. He comes prepared, always having listened to (and learned) any song you’ve sent him in advance. “Stefano’s drumming has been impeccable! His creativity is always looming, and his ability to improvise on a moments notice has been a God send! He’s always been punctual to every rehearsal and show, and his attention to detail is over the top. He has shown me and my band that he is a man of integrity, responsibility, and commitment. Here in Hollywood, that is such a welcome to see”!